Toybank teams travel for 500km to spread its Impact centers at Wada, Thane district. We had planned this visit in association with Impact India Foundation, an organization working on developing the health scenario in Thane district. All the schools/ashramshala’s are in the interiors of Wada where the children have very less access to play. All they would know are few outdoor games played in a group. Play for them is the Luxury. And our team was here to tell them that it’s not, but their right. 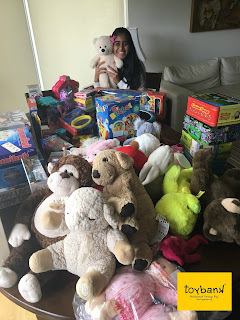 The first highlight to mention here is the SMILES on the children faces & the curiosity to PLAY J when we opened the huge cartons full of games. Teachers of all the schools & ashramshalas would play a very important role for involving & motivating the kids to learn through play. The children would also use few educational games in their classroom learning. Through our centers the children would get access to variety of games from puzzles to blocks, educative to fun-learning, indoor to outdoor games. 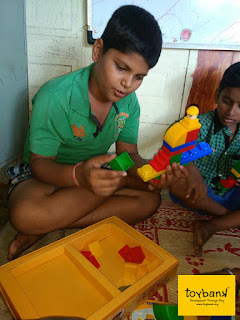 Toybank’s focus would be to provide them a platform to help the children develop their social emotional 7 intellectual skills through these games.